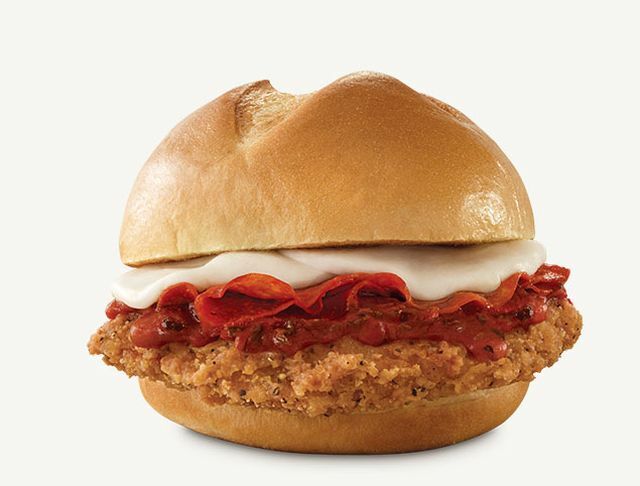 Calling it "piling meat on top of meat," Arby's unveils the new Chicken Pepperoni Parm sandwich as their latest limited-time sandwich. Offering a slightly modified take on a chicken parmesan sandwich, the Chicken Pepperoni Parm features a crispy-fried buttermilk chicken filet topped with roasted garlic marinara, slices of pepperoni, and fresh mozzarella on a toasted, star-cut bun. You can expect the new sandwich to go for around $5 (may vary).